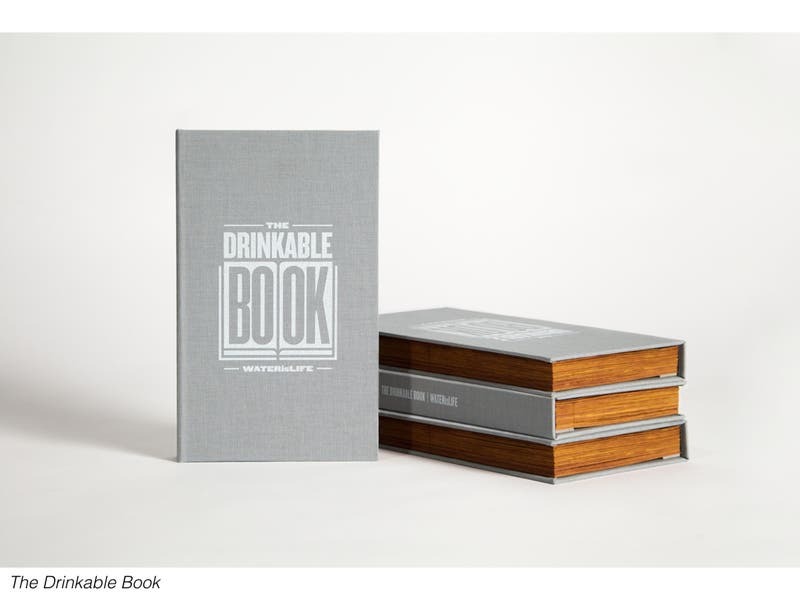 Books and education save lives – but the Drinkable Book takes things to the next level. Using the bacteria-killing properties of silver and copper, a US researcher has developed a low cost, light and cool way of purifying drinking water: through a book. Each year, 3.4 million people perish because they don’t have access to clean water; 99 percent of these cases happen in the developing world, and could be avoided. Several innovative ideas have already been revealed (1, 2, 3, 4, 5, 6), but there’s always room for another, especially as the problem continues to persist. This is there the Drinkable Book enters the stage. Dr. Theresa Dankovich, now a postdoctoral researcher at Carnegie Mellon University in Pittsburgh, developed and tested the technology for the book over several years, working on her PhD. “It’s directed towards communities in developing countries,” Dr Dankovich said, noting that 663 million people around the world do not have access to clean drinking water. 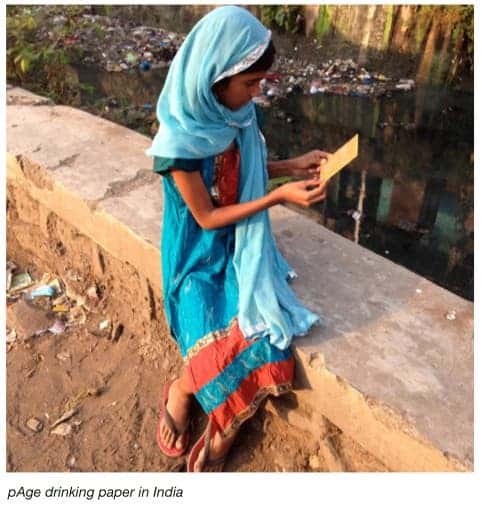 “All you need to do is tear out a paper, put it in a simple filter holder and pour water into it from rivers, streams, wells etc and out comes clean water – and dead bacteria as well,” she said in an interview. A single page can clean up to 100 liters of drinking water; the entire book can ensure clean drinking water for one person for four years. Corinne, a MS engineering student from Carnegie Mellon University, also collaborated on the project. The idea of using silver and copper to clean water is not new – on the contrary, it’s been used for more than a century. However, no one’s ever thought of actually putting them into paper to purify water. 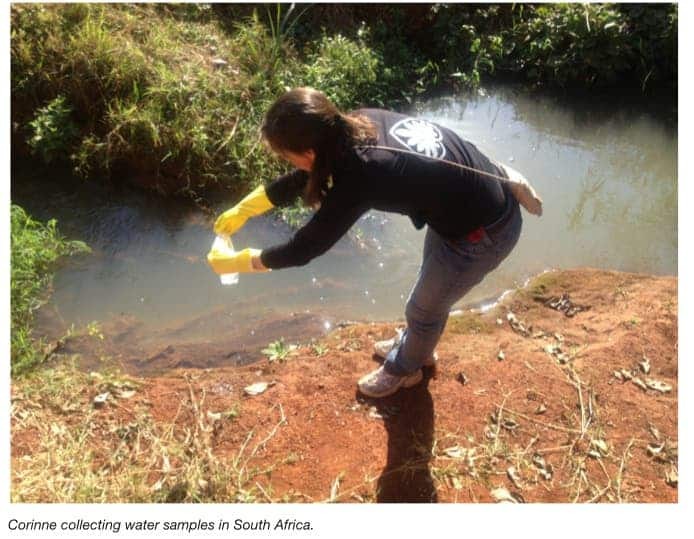 “In Africa, we wanted to see if the filters would work on ‘real water,’ not water purposely contaminated in the lab,” she said. “One day, while we were filtering lightly contaminated water from an irrigation canal, nearby workers directed us to a ditch next to an elementary school, where raw sewage had been dumped. We found millions of bacteria; it was a challenging sample,” Dankovich noted. “But even with highly contaminated water sources like that one, we can achieve 99.9 percent purity with our silver- and copper-nanoparticle paper, bringing bacteria levels comparable to those of US drinking water,” Dankovich said. Since then, she’s started her own company and teamed up with the nonprofit WATERisLIFE organization and Brian Gartside, a designer formerly with DDB New York. The Drinkable Book shows great promise, but is still a prototype and some more time and support for continued development before it is ready to be a commercially available product.